Steve started playing music in 1962. Music is his calling. From birth he was surrounded by the music of his Macedonian ancestors and the ethnic music of Greece, Yugoslavia, Bulgaria and Turkey. Listening to live music at picnics and dances as a small child opened his mind and spirit to trancelike rhythms, improvisation and chanting. He started listening to the sounds of the radio Bob Dylan, Them, Animals, Rolling Stones, Manfred Mann, Jimi Hendrix, Yardbirds, Kinks, Loved Ones, Spectrum etc. He searched back further to the roots of the music he loved – and then back to the source – Africa. 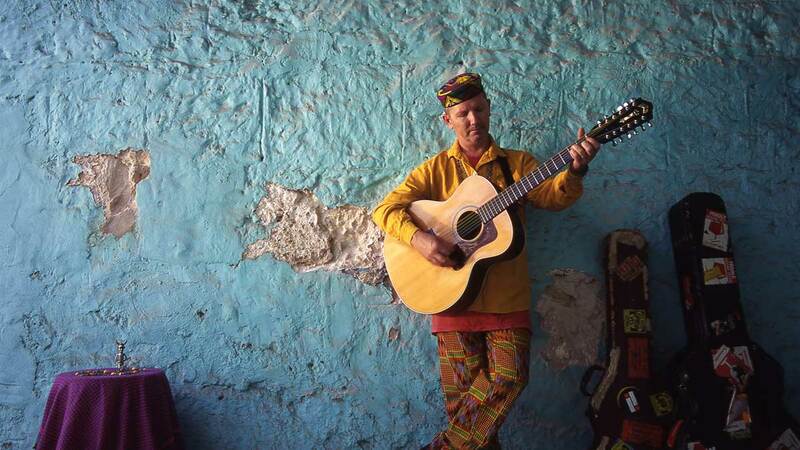 Steve is an Australian Griot, a Blues Shaman. He has lived and performed in the USA, Europe, Mexico and Asia – supporting some of the biggest names in music. Influences include Leadbelly, John Coltrane, Tim Buckley, Captain Beefheart, Sun Ra, Tony Williams Lifetime, Van Morrison, Howling Wolf, Tom Waits, Jack Bruce, Kip Hanrahan and Bob Dylan. African, Indian, Haitian and Islamic music have all had a spiritual and rhythmic influence on his own work. His love of blues, gospel and a cappella field hollers shows both in his live shows and recordings. Two lifelong ambitions came true when he toured India in 1997 and Pakistan in 2003. Explorations into Vodou, Tantra, Buddhism, Sufism, The Bible, Hinduism, Taoism and Native American Indians have affected him deeply. Awards include Songwriter Of The Year, Most Original Work, and Album Of The Year . Steve was also inducted into Western Australia Music Industrys Hall of Fame and is featured in the books – Whos Who of Australian Rock and Blues, Working Musicians and Further Down the Road. His Eight CD Box Set – Anthology Volume One: The Sacred Path of The Fried Egg Maylands To The Gates of Hell (1962 – 2001) is a piece of Australian music history. The first time in Australian music history that an independent solo artist has released a box set. Steve Tallis is unique, fiercely independent and is not a man to be compromised. During this year’s festival he will do several solo appearances and one with his band The Snakes of Desire.